Former prime minister shot while walking near Kremlin. Opposition leader and former Russian Prime Minister Boris Nemtsov has died after being shot in central Moscow late Friday night. He was 55. According to Russia’s Investigative Committee, Nemtsov was walking along the Bolshoy Moskvoretsky Bridge near the Kremlin a little after 11 p.m. when a white car pulled alongside him and fired a number of shots at point-blank range, hitting him in the back. A 23-year-old woman from Kiev who was accompanying Nemtsov was unharmed. So far there are no suspects in the shooting. The police have interviewed several eyewitnesses, but have not released any information regarding their statements. CCTV footage from the area is also being examined. A senior aide to the head of the Moscow branch of Russia's Investigative Committee, Julia Ivanova, told news agency TASS that no possibilities, including that the murder might have been a contract killing are being ruled out. Russian Interior Ministry spokesperson Yelena Alexeyeva told reporters that six bullet casings had been found at the scene and that four bullets hit Nemtsov. The killing comes a day before Nemtsov was to lead an opposition protest entitled "Spring." Organizers had hoped that the rally, scheduled for March 1, would attract as many as 100,000 people. Mikhail Kasyanov, another former prime minister and opposition figure has said that the protest will be cancelled and a memorial march in honor of Nemtsov will be held instead. However, Alexey Mayorov, head of the Moscow department of regional security, said that no official requests to change the nature or location of the March 1 "Spring" march have been received by the Moscow mayor's office, according to RIA Novosti. The liveblog of the news website Meduza posted announcements from Twitter that a memorial rally for Nemtsov will be held on Saturday at noon in Kiev and in St. Petersburg at 3pm. Nemtsov's lawyer, Vadim Prokhorov has said that he is sure the killing was politically motivated, an insinuation Peskov attempted to refute. In an interview with radio station, Kommersant-FM Peskov said "politically he [Nemtsov] did not represent any threat to...to the current leadership of Russia and Vladimir Putin." There was an immediate outpouring of comments and condolences. U.S. President Barack Obama recalled meeting Nemtsov in Moscow in 2009 and called for a “prompt, impartial and transparent” investigation into his death. "Nemtsov was a tireless advocate for his country, seeking for his fellow Russian citizens the rights to which all people are entitled. I admired Nemtsov’s courageous dedication to the struggle against corruption in Russia." Ukrainian President Petro Poroshenko called Nemtsov "a bridge between Ukraine and Russia." Writing on Twitter, Mikhail Khodorkovsky said that the death of Nemtsov "grieves me and all my family. We all loved him." On Facebook, former U.S. Ambassador to Moscow Michael McFaul wrote "I am in total shock that they killed my friend, Boris Nemtsov." People have been bringing flowers and candles to the spot where Nemtsov was killed. 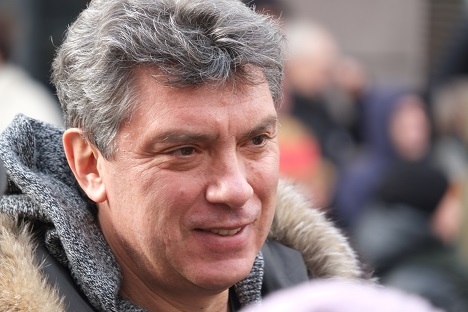 A native of Sochi, Nemtsov rose to prominence in the 1990s, first as governor of Nizhny Novogorod and later as deputy prime minister in the administration of Boris Yeltsin. He was one of the most prominent members of Russia’s liberal opposition. In 1999, Nemtsov founded the political party the Union of Right Forces (SPS). After the SPS party split, Nemtsov worked with other opposition movements and parties. He was active in the protests against electoral fraud in the winter of 2011-2012 and was a member of the coordinating committee of the current Russian opposition movement. Since 2012 Nemtsov had been a co-chair of the Republican Party of Russia - People's Freedom Party (RPR-PARNAS). Reporting from RIA Novosti, TASS and Meduza was used in this article.